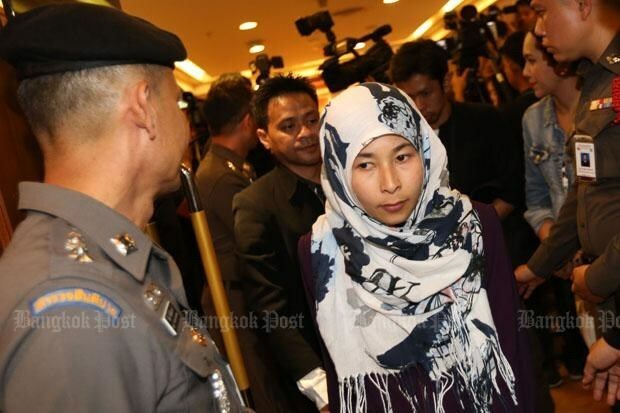 Bangkok (VNA) - A Thai woman suspected of facilitating the 2015 Erawan Shrine bombing in Bangkok, Thailand, was arrested upon her arrival from Turkey at Suvarnabhumi Airport on November 22. Wanna Suansan arrived at the airport with her two children and was detained by the Royal Thai Police Office for interrogation. A relative of Suansan’s was quoted as saying that her family had not seen her since 2015, and she had returned to prove her innocence. Police believe Suansan, the first Thai suspect identified in the case, acted as a facilitator of the terrorist attack, renting a room for a Turkish bombing suspect who was her husband’s friend. The man was also accused of handling bomb-making material. Wanna and her husband left with their son for Turkey on July 1, 2015, one week before Thai authorities repatriated 109 Uighurs to China.